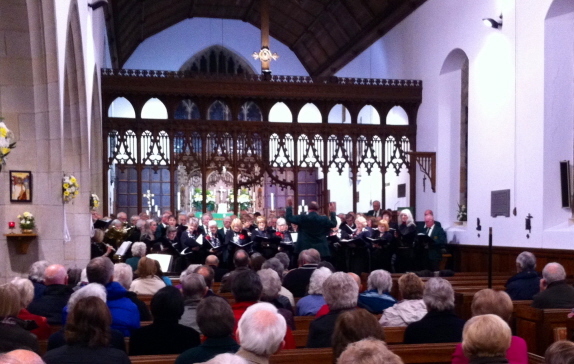 Over 160 people attended a concert at St Leonard’s Parish Church Loftus on the evening of Friday 15th November 2013. The concert brought together the Dalesmen Singers and the Singing for Pleasure Ladies Choir of Castleton, with three items being performed as joint pieces. The concert was a partnership event between Loftus Church and Loftus Town Council and proceeds from the concert were divided equally between the two organisations.